tips, tipples & table talk. It can only mean one thing when those out of office replies start rolling in, the June bank holiday weekend is upon us! So close you can almost taste it, here are our top picks for the weekend ahead. For those of you craft beer drinkers who love the mouth-watering combo that is seafood’n’spice, you’ll seriously enjoy Fulcrum Wheat Beer. New to ely gastro bar, this wheat beer offers crisp dry refreshment with subtle fruity spices. 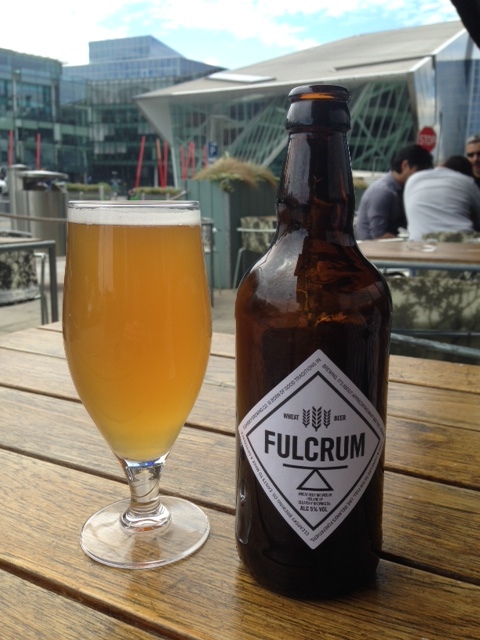 Fulcrum Wheat Beer with paella, crisp calamari or other seafood is the ultimate pairing – much like dodgy sunburn lines and the Dublin sunshine. The acrobatic sensation that is Cirque Du Soleil’s ‘Dralion’ runs Wednesday 28th – Sunday 1st at The O2 Dublin. Described as “a wonderful blend of amazing acrobatics, stunning choreography, live music”, we decided to create our own wonderful blend. This one’s with vodka, passion fruit, grenadine & lime juice to make up the Cirque Du So-Delicious Dralion cocktail. For those of you in Dublin for the 3-day-weekend, there are plenty of things on in our fair city to make the days count! Top events include the bloomin’ brilliant food & gardening festival Bloom in the Park or the fantastic line up at music festival Forbidden Fruit. The annual Dublin Port Riverfest arrives to the Docklands Saturday 31st – Monday 2nd with tall ships, food stalls, children’s activities, pirate re-enactments and much more… Arrrrrrr y’ready? Top Irish cyclist Dan Martin will lead a fantastic charity cycle in aid of Temple Street Children’s Hospital on Saturday 7th June. Open to all levels, the cycle promises a fun day out for friends, family and children. After learning all about the delicious Paparuda Pinot Noir from Romania and Raphael Palacios ‘Bolo’ Godello from Spain we continue our weekly series “ely wines for Summer” with two gems that you should drink this Summer. Ok, we really need to get together as a wine drinking nation and get over our collective aversion to German wines! Fact- Germany produces some of the finest white wines in the world. Fact- most of them are dry! This is the spiritual home of Riesling, probably the most appealing and intriguing of all white varieties, and nobody can do it like the Germans- wines which so confidently walk the tightrope between ripe fruit and vibrantly cleansing acidity. In fact, the one characteristic most people love about Riesling, and German Riesling in particular, is the purity of flavour. 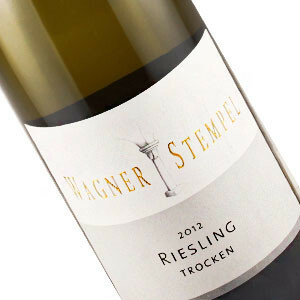 Wagner Stempel Riesling, which was recently certified organic, is a perfect expression of this trait. Lovely red apple flavours on the nose and palate, matched by perfectly pitched acidity and a long refreshing finish. This wine typifies everything that Riesling should be- pure in flavour, precise in balance and perfectly drinkable. It’s time to rediscover one of the true joys of the wine world. Italy is not the first place you’d look to for world class Pinot Noir, in fact, few of us would bother looking there at all. Do they even make any? ……. Nestled away in the Italian Alps, in the far north east of the country are some of the most stunningly beautiful vineyards you are ever likely to see! Snow covered peaks lead down to crystal clear lakes, with rows of perfectly tended vines in between, and the air here is so pure that you begin to remember what fresh air really is. This region is Alto-Adige, and home to the outstanding Franz Haas winery. Franz has long been feted for his whites, which are among the most highly regarded in Italy, but we have chosen his Pinot Nero, which we think is a perfect expression both of this grape, and this region. This is an incredibly elegant Pinot Noir –delicate flavours of raspberry, cherry and plum combine with hints of cinnamon and clove on the palate to produce a wine that is at once fragrant, complex and silky smooth. Pinot is not about power or concentration, it is about perfume, texture and harmony, and this is a winner on all counts. Despite what you may think when you look out the window, summertime is upon us. So, as always, we at ely have chosen some wines for your summertime enjoyment. They won’t just be whites- reds, rosés, sparkling and sweet all deserve their day in the sun, so to speak. We have chosen wine which we think best reflect that summertime feeling- fresh, easy and fun. Nothing too serious here! These are wines to be enjoyed al fresco, ideally on one of our sunny terraces! So as soon as you see that sun emerge from the clouds, get down to ely and try a glass of one of these wonderful wines! A new wine to our portfolio from a country where wine production is taking giant leaps forward in terms of quality. The winery is situated in the western part of the country, close to the town of Timisoara. It is produced by a Romanian/English couple who have enlisted the help of an Australian consultant. The flavour profile lies somewhere between traditional Pinot Noir and very good Gamay. Lovely fresh red berry fruit, soft and juicy on the palate, this is a rare example of a Pinot Noir bargain. If you are looking for a red to drink chilled, or just cool, look no further than this. For quite some time now we in Ireland have been exposed to the joys of Albarino, either on holidays in Spain where it is wonderfully priced, or here, where it can often be just too expensive for what it delivers. But now there a new grape on the scene – Godello. That is just the Irish wine scene- the earliest recorded mention of it in Spain goes back to 1531! The grape was on the verge of extinction in the 70’s but has since undergone a significant revival. It is most widely grown in Northwest Spain, the region which is also home to Albarino. But while once Godello was considered second best, it is now widely accepted to be a far superior variety. Similar to Albarino in terms of flavours- ripe melon and peach, but with lovely citrus acidity- it has greater body, complexity and aging potential. Raphael Palacios is probably the current master of Godello, producing some of Spains best white wines such as ‘As Sortes’ a stunning, barrel-aged Godello reminiscent of great white Burgundy. ‘Bolo’- one of our favourites- emphasises the freshness and minerality of this fantastic variety. Enjoy the very best of ely wine bar’s locally sourced Irish food every Saturday lunchtime with an all new seasonal summer lunch menu, now available from 1pm. Take in a taste of the Atlantic ocean with fresh ‘Dingle bay Irish brown crab’ or a taste of the ely family farm in The Burren with ‘16 hour slow cooked organic Burren beef cheek’, all without having to leave the city. ely wine bar is just a stone’s throw from Grafton Street, shops, boutiques along with Dublin’s famous parks, museums and galleries. Unwind and enjoy fresh slow roasted coffee or perhaps, a glass of Domaine Dravigny Cuvée Champagne with ely’s delicious, gluten-free and homemade Macarons. Each Macaron is handcrafted with love and will have ever-changing seasonal flavours. Each week a guest speaker will present a selection of wines from the given region and we’ll serve up a supper dish to match. All wine tastings take place at ely bar & brasserie and start at 7pm sharp. The most exciting thing about Italian wines- and Italy is THE most exciting wine country in the world- is the vast array of grapes that they grow. There are hundreds of varieties grown across the country, and probably many more that we haven’t even heard of – you could drink Italian wines every day for a year and never have the same grape variety twice!! However, you walk into a supermarket here and you’ll most likely see 10 types of Pinot Grigio and a Chianti. We are going to taste the real Italy, wines with genuine character and a real sense of tradition. Buying Burgundy is like navigating an minefield- and red Burgundy especially so. Despite the fact that all the wines are produced from a single grape variety, it is essential to know your producers, vineyards and vintages to ensure you get value for money. But when you find the right one, it rewards in ways that no other wine can. From Bourgogne AC to the finest Premier and Grand Cru, there are incredible Burgundies to be found if you know where to look. And you need look no further that ely. Join us for a richly rewarding tasting of some of the big names and some of the lesser known treats from this most fascinating of wine regions. As wine regions go the Loire Valley has to be one of the most varied and exciting in the world. Red and white, still and sparkling, bone dry to wonderfully sweet, it has something to offer everyone! Everyone knows of Sancerre, Pouilly Fume and Muscadet but the real gems are probably lesser known- Chenin from Savennieres, Montlouis and Vouvray; reds such as Chinon, St. Nicolas de Bourgueil and red Sancerre. The sweet wines, from the lighter to the richest, are absolutely world class. Join us for what promises for a genuinely fascinating and surprising tasting. The most interesting wine region in France? Alsace is a fascinating wine region, and quite possibly the finest and most varied white wine region in the world! Because of its history – it has belonged to both France and Germany several times over- there is a very strong Germanic influence, not just on the wines, but also the food, language and architecture.But it’s the wines we are interested in- and it’s very easy to see why. Some of the finest Rieslings in the world, outstanding Gewürztraminer and Pinot Gris, along with Pinot Blanc and Muscat. Quality ranges from AC to Grand Cru, and wines can be anything from bone-dry to intensely sweet. Interestingly, Alsace is the only region in France where wines are labelled by grape variety! Want to learn more? Book in for our Alsace tasting on 22nd May. Register now for wine tasting & supper €45. Céad Míle Fáilte: KADE meeleh FALCH-uh An Irish expression meaning a hundred thousand welcomes. How could you not like a place that offers you a hundred thousand welcomes? The Emerald Isle. Home of the fabled leprechaun. Legendary for its pubs and hospitality; its seaside cliffs and windswept hills; its River Dancers, penny whistles and poets. What’s not to love? Yes, Ireland charms me like few other places.